Relaxing, good place to unwind. Villa was comfortable. The villa was larger than expected, extremely clean and had everything we needed. the furniture, including the outdoor table and chairs, is outstanding - beautiful, comfortable and sturdy. There are no shortcuts. What a wonderful villa! It has absolutely everything you need for a great vacation. The weather wasn't particularly cooperative but it didn't stop us from walking 5 miles a day on the beautiful beach. Fortunately, we packed layers! t was glorious and relaxing watching the dolphins and pelicans feeding each day! We love that there are still oceanfront options for couples who don't need the huge beach houses for vacations. Perfect size and oceanfront location. Our rental unit was exactly as described. Property was clean and lacked nothing. I would highly recommend this property and I would definitely stay again. We have rented this property before and it's ALWAYS updated, clean, comfortable. The property management is easy to work with and very thorough. We'll be back again and again!! We had a wonderful time! This is our 15th year coming to the island. First time at the Pelican condos. Beautiful, well equipped, and quiet. We thoroughly enjoyed this lovely condo. Breakfast on the deck overlooking the water, watching the boats, hearing the waves--wonderful. Some rainy days but a short walk to the beach in between storms. Everything we needed in the condo--beautifully decorated and comfortable. Also a fun day excursion to Magnolia Plantation. Can't wait for our next visit! Loved watching the dolphins from our deck, walking and biking on the beach, and playing tennis. 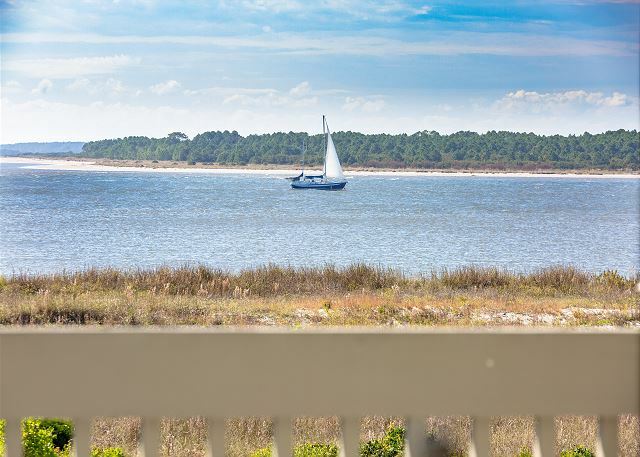 Loved, loved, loved Seabrook Island and Pelican Watch Villas! Very enjoyable. We have vacationed @ Seabrook since the 1970's and love it. This is the second time we have stayed at this unit and we love it.The kitchen is well equipped, the whole unit is neat and kept in good repair. the view of the ocean and the sunsets are fantastic. This condo was adorable / great view / nice accommodation / easy i & out / 2 great bathrooms / fully stocked with just about everything! The only thing - and i mean the only thing that I would have liked was a laundry basket! Big deal! It was terrific with nice quality furnishings and decor. We were very happy! Very clean- could use deep end of season cleaning but no issue. My family has stayed at several different condos in Pelican Watch and this one is by far the best. It was spotless, beautifully decorated, with attention to detail for our comfort. It had everything we needed - including Wifi - which is a must for us. Thank you for a wonderful week. We will certainly be using this one again. The unit has a great view and was well appointed. Plenty of room for the two of us and we had a very relaxing experience. The bed and sofas were very comfortable and we would highly recommend this rental. We keep going back to Seabrook and are never disappointed. We love this unit, but sure wish the bathrooms would be updated (especially the old teeny toilets). The location can't be beat and the unit is very comfortable for two people. Relaxed, peaceful, very enjoyable & would repeat the experience. Beautifully decorated and thoughtfully supplied with everything you could want or need. The deck awning was the icing on the cake. Could use a lock on the deck door down to the beach. 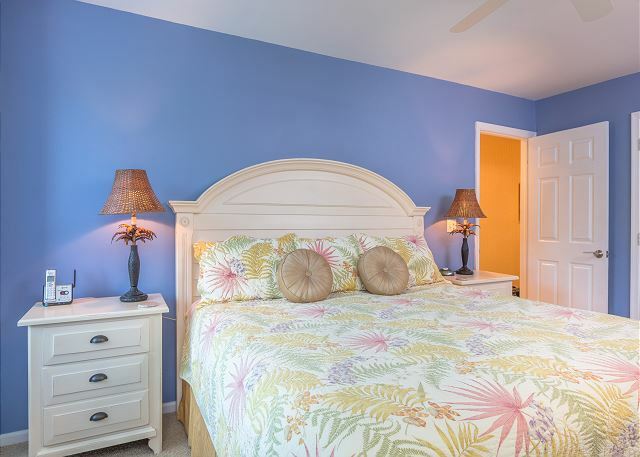 Rental is beautifully decorated and in perfect condition - really has everything you could ask for, from beach chairs to measuring spoons! The view is incredible and having the amenity cards allows you to enjoy all the first class luxury of the Beach Club. Can't wait to return! 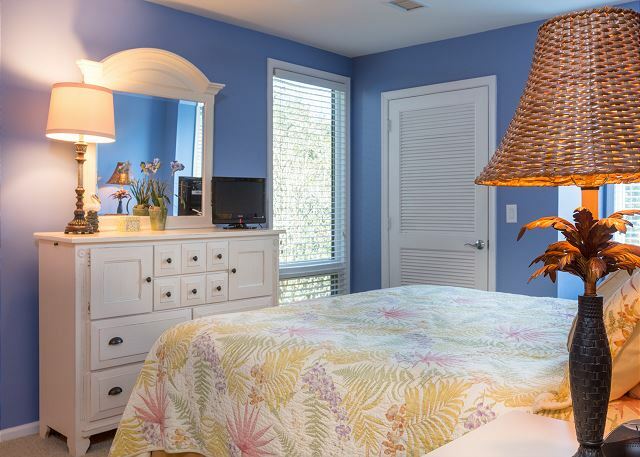 Seabrook Exclusives is a first class operation -- everything about our stay was perfect! Very good stay. No complaints other than the unit was short on supplies such as toilet paper, etc. but overall the unit was very nice and I would recommend it to any future renters. first time to Seabrook and was very impressed with everything. Condo was nicely decorated and very comfortable. Great location. Great weather. Will likely return. We had a fabulous week at Seabrook Island. We did not know what to expect but couldn't believe how good the place was. Unit was pristine and views were amazing. Can't imagine staying anywhere else on the resort. Only complaint is regarding the staff at the Pelicans Nest. this is a great location for sunsets, easy walk to the beach, watching boats, watching wildlife. Neat and clean, nicely decorated and updated. loved it. We visited Seabrook during Master's week. The rental was right in the beach with a beautiful view of the brilliant sunsets. The kitchen was outfitted for a chef and bar tender. The bed was comfortable. The unit was clean with all the amenities to enjoy your stay at the beech. I Wii rent again. The unit was very clean & well equipped, especially the kitchen. We have stayed at other Pelican Watch properties over the years, and this certainly ranks as one of the best. The weather was perfect & enjoyed many walks on the beaches & sitting on the deck in the evening & watching sunsets. Just a couple of small gripes: First, the DVD/ home theater unit needs to be replaced. The remote control for it is probably the worst I have ever used, and having to read a manual to figure out how to use it is crazy. It didn't help that the batteries were dead. The second small gripe is that the toilets in the bathrooms are very low, and for older guests (like us) it would be nice to have regular height toilets. This year we stayed in the same villa as our first trip to Seabrook Island in 2010 and it was as if we were projected back in time. We felt like we were walking into our own home once again...everything familiar and wonderful as we remembered. The unit has been updated somewhat and was lovely and the kitchen was better equipped than my own kitchen. Our only negative was being told that the awning (which opened and closed electronically) couldn't be used because the owners were waiting for a part to be replaced. That deck got VERY warm in the afternoon and we weren't able to sit,out there. This was our second year Spring month stay at 1376 Pelican Watch in a row. The unit was completely up to our expectations, very nicely decorated with a nautical theme throughout and an excellent equipped kitchen. Cable TV channels were beyond the basic and much enjoyed and the WIFI was always working. The new patio door was far superior to the old one and everything was spec and span. We met the owners and found them to be very pleasant and friendly. We enjoyed the golf club, bicycle riding and the indoor pool at the Lake House. The beach walks, the dolphins, the deer and the birds and the preserved natural environment make it a truly nature lovers paradise. We found everyone very friendly and courteous: staff, residents and other guests. The weather was much cooler than last year(2012) but it did not deter us from enjoying ourselves. We highly recommend this unit and Seaboard Exclusives to anyone. This was our first visit to Seabrook and we absolutely loved it. The condo was wonderful, very clean and comfortable to stay in. The kitchen was very well stocked and with the wonderful grocery store so close, we ate a lot of our meals at the condo. The sunsets were beautiful and we saw dolphins swimming just off shore almost every day. We will most definitely go back! This was a very well-equipped property. It had been decorated fairly recently in a tasteful and very comfortable manner. Everything was in excellent condition and all appliances worked well. We really enjoyed watching the dolphins and the deer! Everything about the week was outstanding. The kitchen was incredibly well supplied. Thanks to everyone for making it so wonderful. Hope to return soon. 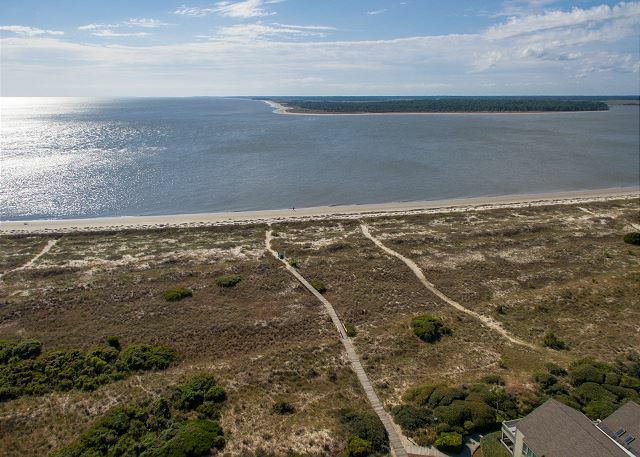 Seabrook Island has the best beaches ever. The folks at Seakbrook Exclusives made the stay wonderful from recommending the best unit to checking in with us just after our arrival. I will definitely return for a great vacation by the sea! Our parents are renting PW1383 and reserved this for a spring break fo us. Worked out great since it was close to them and was a very nice unit. 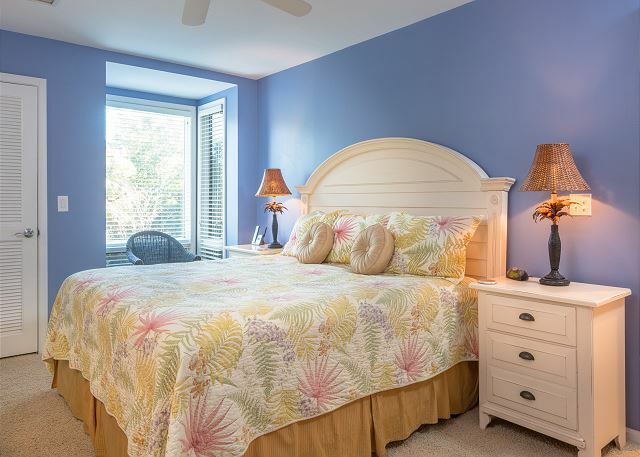 We love to visit Seabrook and Seabrook Exclusives makes it easy. 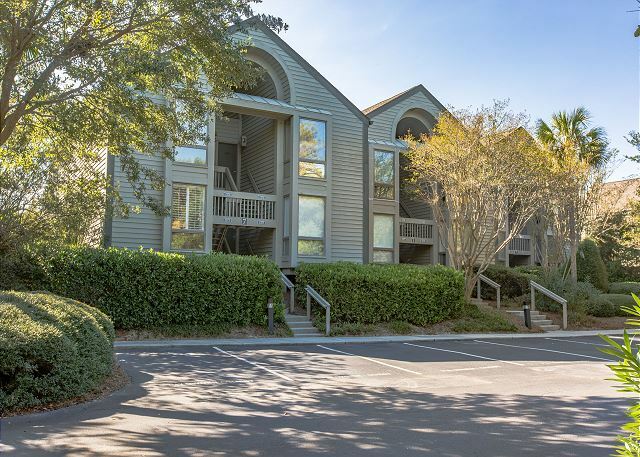 Occasionally family or friends will also rent a place while we are there and we encourage them to use Seabrook Exclusives. We've all been very satisfied. We spent 2 weeks at this condo and loved every minute of it! 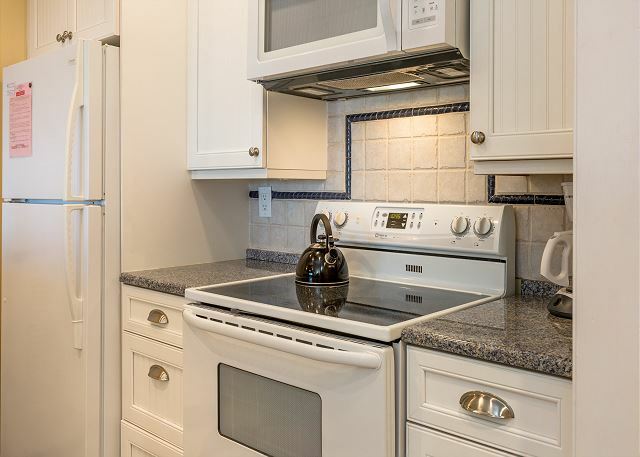 The owners have anticipated every need and fully furnished this home - even to the high end cookware in the kitchen. The ONLY other thing we could have wished for was an awning on the porch so we could have had EVERY meal there! HOUSEKEEPING and PROPERTY MANAGEMENT is excellent! We have used Pam Harrington Exclusives since 1995 and know them to be an exceptional company - thanks BETSY! Already looking forward to our visit next year. THANK YOU!! This was a very nice unit to stay in; comfortable bed, well-equipped kitchen, clean, and pleasant décor. Access to the beach via boardwalk was good. If someone would prefer fewer steps, a lower unit would be better, but we liked the view and higher ceiling of this upper unit. A memorable vacation! Fishing, Kayaking, swimming in the ocean, walking and relaxing with a book. The dolphins swimming were amazing. The highlight of the week following the turtle patrol on North Beach and watching all the baby turtles crawl to the ocean. Priceless!!! !100 babies. We love it here, our family now comes here. The nature part of the island is great, our young grandkids always have plenty to do. We have been coming to the area for 15 yrs. How great is that! 1376 Pelican Watch - An Outstanding Villa! This villa is beautifully decorated and very clean! We enjoyed the beach decor and the amazing view! We can't wait to come back next year. Great condo. Very nice and clean. Kitchen very well stocked. As usual we enjoyed our stay. Tnanks for your assistance. Great as usual. Only inconvienence was construction next door but it was manageable. Very dirty stairs going to unit dure to construction. We enjoyed our visit. It was great. We spent time relaxing and enjoying the local food up at Freshfields and at The Sanctuary. Highly recommend this property. We spent two wonderful weeks in this villa at Pelican Watch on Seabrook Island and can't wait to come back! This is a unique experience that includes dolphins, turtles, herons, egrets, deer, horseshoe crabs = a wildlife watchers dream! 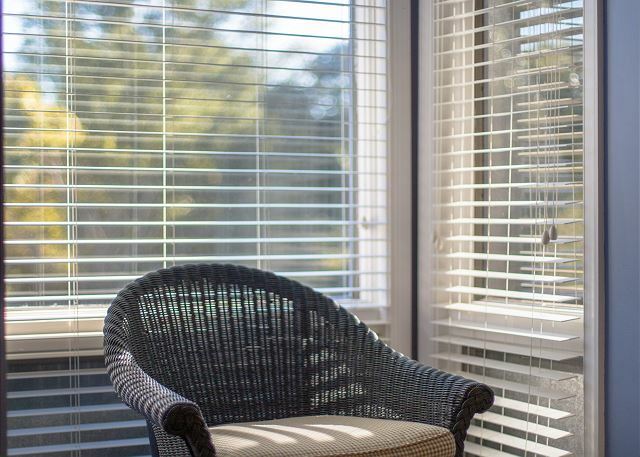 We have rented through Pam Harrington Exclusives for nearly 20 years and believe that they set the bar for friendly, efficient, professional service. This particular property has provided all of the amenities for a wonderful visit - including a newly installed retractable awning over the porch!! What a wonderful vacation. We loved the beach! It was peaceful and we saw deer, dolphins, a bald eagle and so much more. Wonderful week at Seabrook in Very nice villa overlooking the water. We stayed for two glorious weeks and it couldn't herb been better. We love the island and this unit,having stayed in it for several years in a row now. Each year there is something new or updated. It is kept up and supplied nicely. We do wish they would update the tiny antiquated toilets. More modern, comfort heoght and elongated are what are being installed in most places. Otherwise it's a perfect 10. We thoroughly enjoyed this lovely condo. It is ever so attractive and well-equipped. Loved the peaceful view overlooking the dunes to the ocean, and the easy walk to a nearly deserted beach. Enjoyed the dolphins, too! My cousins from Vermont are buying a home on the island, and their Realtor suggested Pelican Watch as a place to stay while they looked; we came to spend time with them - - very pleasant! I recently rented 1376 Pelican Watch for a long weekend with my daughters. We had a very relaxing Beachy weekend. It was so nice to be able to walk to the beach right from our back yard. I will rent this Villa again. This villa is excellently described and exactly like the pictures. Was beautifully decorated and provided a wonderful stay for my wife and I. We never had any issues with the unit the entire time we were there and so never needed to reach out to the property manager. 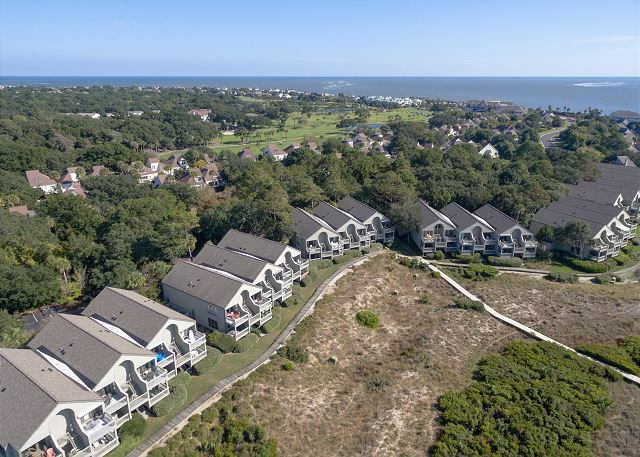 It's a short walk down the beach from the Seabrook Island Club where there is a pool and even more private beach that you can use with the Amenity Cards. Overall I would highly recommend this unit!! Great location, great view, great property. 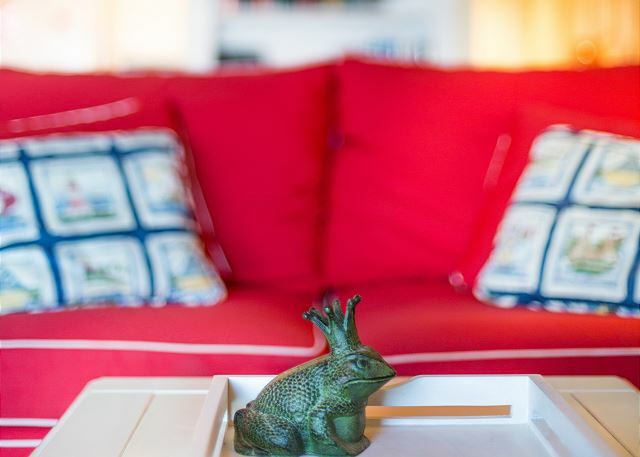 One of the best villas we've rented on Seabrook or Kiawah. Great location, great property management service, very enjoyable vacation. This is a very nice condo with a great view and a kitchen that is much better supplied than most. As always, Seabrook Exclusives' consistently excellent customer service made our stay comfortable and enjoyable. The location was perfect. The condos are very nice, but the exterior needs to maintenance. I would definately stay there again. Seabrook is a special place to vacation. We have been coming for over 25 years. It holds special family memories for us. Had a few bugs but other than that we were very satisfied with the unit. We had a wonderful time and would most definitely recommend Seabrook Exclusives to friends and family. My stay at Seabrook was perfect. I loved my unit which was fully appointed and I can't wait to come back! We spent March 2012 in this villa. It was beyond our expectations. The nautical theme decor was very well done throughout the unit. The kitchen was better equipped than most home kitchens. The view and sunsets from the deck were fantastic. Seabrook Island is like la-la land, peaceful, quiet, natural with lots of wild life (deer, bobcats, pelicans, egrets, alligators, birds and seabirds of all sorts and dolpins off the beach) and very well maintained. We enjoyed walks on the beach,bicycle rides around the island, swimming in the saltwater pool at the Lake House, using the golf range and golfing at Shadowmoss Plantation, visiting and touring Charleston and the Magnolia Plantation and playing bridge with friends. We have booked for 4 weeks next year. The weather was 10 degrees above normal the whole month which was a bonus. Extraordinary Pelican Watch! Well maintained, clean, clearly newly remodeled. Would certainly love to stay here again! !